Streamlined counseling centers, de-stress stations and well-being initiatives are helping serve a broader range of student needs. 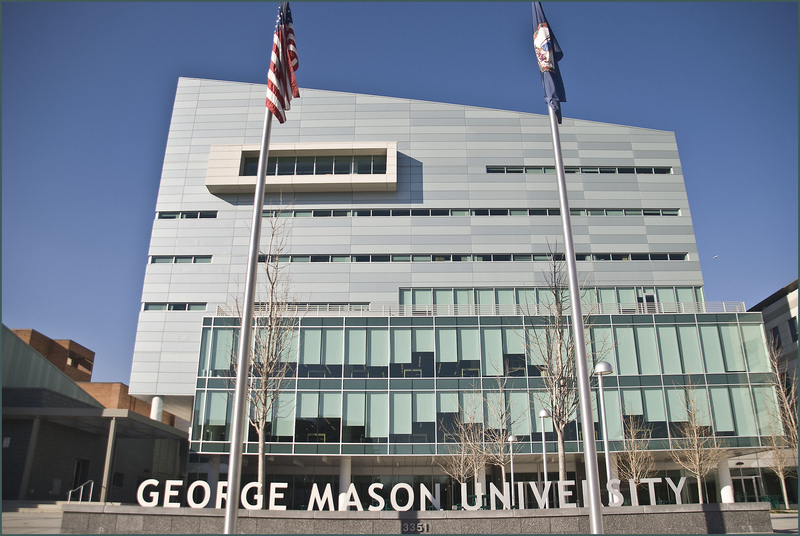 In 2013, George Mason University set its sights on a novel goal in higher education: becoming a model for how colleges can support well-being on campus. The concept was simple. Rather than just provide students with an education, the public university in Virginia would bake well-being into every aspect of college life to help all members of its community thrive and find personal fulfillment. 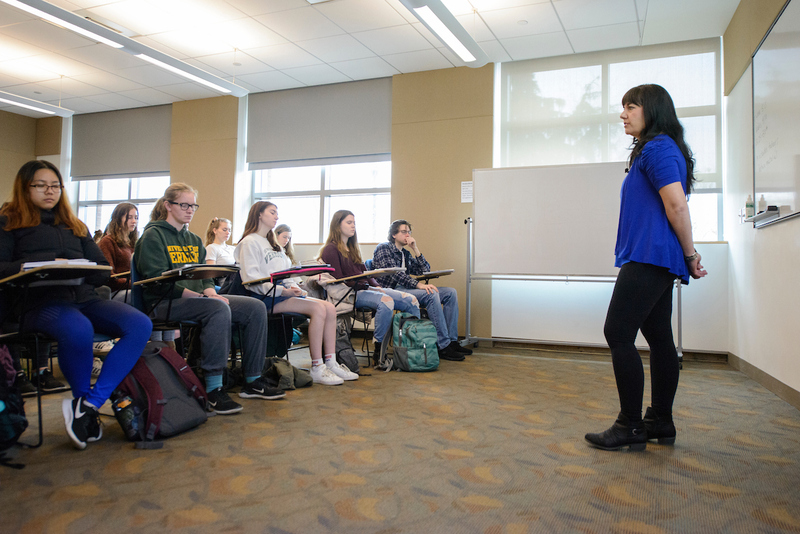 So far, George Mason has made strides toward its goal by increasing the number of well-being programs on campus and regularly assessing the engagement levels of faculty and staff, among other initiatives. And the university is hardly alone; colleges across the country are doubling down on their efforts to help students de-stress and get centered. In 2013, George Mason set its sights on becoming a model well-being university. "Simply showing that somebody has a diploma is not going to be the currency of the future," says Brandon Busteed, a former executive at Gallup Education, in a video from George Mason explaining the initiative. "It's going to be, 'Did that diploma significantly increase my likelihood of having a great job and a great life?' That may be the new metric against which universities are measured." Such initiatives stem partly from college students' mounting anxiety. Four in 10 incoming college freshmen in the fall of 2016 reported feeling "overwhelmed" by their responsibilities, compared to 28% in 2000, according to research from the Higher Education Research Institute. And members of Generation Z — or those born since 1997 — are the least likely to report "excellent or very good" mental health, according to an October 2018 report from the American Psychological Association (APA). At the same time, they are more likely to seek help from a mental health professional, with 37% reporting they've done so, compared to 35% of Millennials and 26% of Gen Xers. It will be critical for colleges to address Gen Z's mental health needs head-on and from the start of their time on campus. One-fourth of Gen Zers say they don't do enough to manage their stress, and nearly three-quarters (73%) indicate they could have benefited from more emotional support in the last 12 months, according to the APA. George Mason has undertaken an effort to embed well-being initiatives into every aspect of campus life. College mental health centers, however, are in the midst of a crisis. Several student newspapers have chronicled the severe staffing shortages and long wait times plaguing the counseling centers at their institutions. And although demand for counseling services has grown, reduced state support and tuition revenue from enrollment declines have sapped many colleges' mental health budgets. Increased demand has prompted some colleges to look for ways to take some of the pressure off counseling centers through well-being initiatives. Those can include meditation, yoga classes or designated areas where students can go to turn off their electronics, take naps and engage in other activities to de-stress. 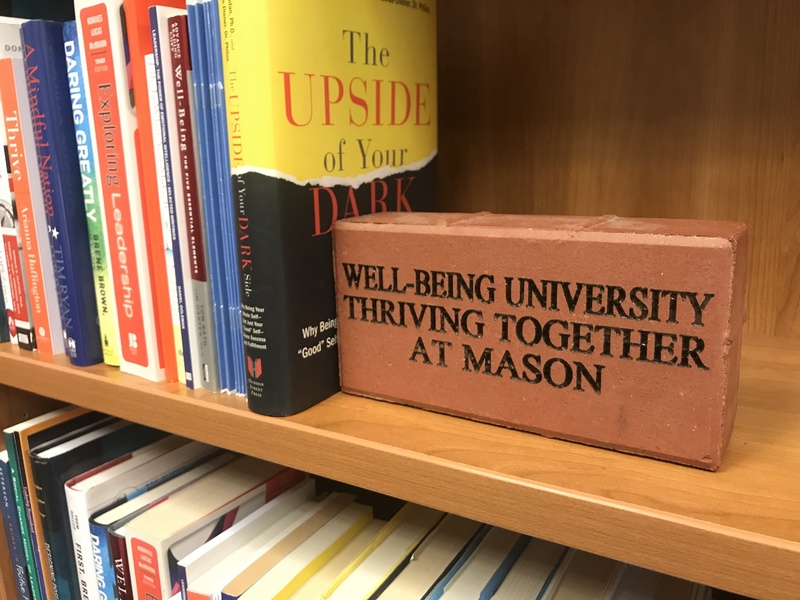 At George Mason, many of those efforts are facilitated through the Center for the Advancement of Well-Being, a small office nestled near the center of the university's sprawling campus. Melissa Schreibstein, director of well-being programs for the center, explains that it doesn't usually host programs but rather helps other units and departments across campus embed well-being initiatives into the services and programs they offer. Over the years, that has taken the form of a daylong campuswide observation of gratitude, a digital badge students can earn for life skills around resilience, and a living-learning community focused on a "holistic college experience," which includes mindfulness, positive psychology and stress management. "The center knows we can't go at this alone, nor can our mental health professionals go at it alone, nor can our faculty go at it alone — or students themselves," Schreibstein said. "The more complex the challenges are, the more collaboration that's needed." Many colleges are recognizing they need a campuswide effort to adequately address Gen Z and other students' mental health needs. Yet higher ed has a reputation for having pervasive silos that hamper collaboration. Campus leaders at the University of South Florida ran up against that problem when they tried to respond to rising demand for its mental health services. "We had a lot of resources, but the usage of those resources was low," said Rita DeBate, associate vice president of health and wellness. 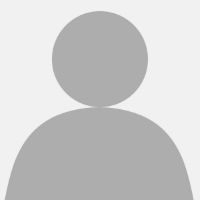 "The communication between those resources was low to none. There weren't any cross-referrals going on." To ensure more collaboration, the university took three divisions — Enrollment Planning and Management, Student Affairs and Undergraduate Studies — and rolled them into one cohesive unit called Student Success. The university also rolled out a three-tier system, called MWell4Success, to better address students' mental health needs, DeBate said. 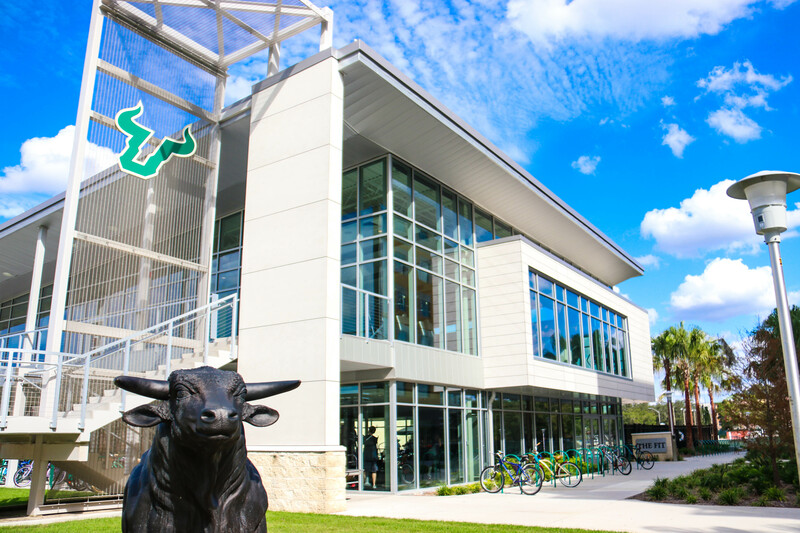 Students can visit three wellness centers on the University of South Florida campus. The first tier requires all incoming students to take a mental health literacy training, which teaches them how to spot the signs of distress both within themselves and their peers, as well as how to approach someone and talk to that person about the resources available on campus. The university also launched a success and wellness coaching service, which is free for all students and includes a remote Skype option. This system, DeBate explained, is meant for students who don't need counseling or therapy services, freeing up space for more high-risk students, such as those with eating disorders or who may be suicidal. Doing so can have a big impact on the counseling center, DeBate said, as roughly one-fourth of U of South Florida students were seeking care there for issues that don't require a therapist, such as help with time management and relationship troubles. 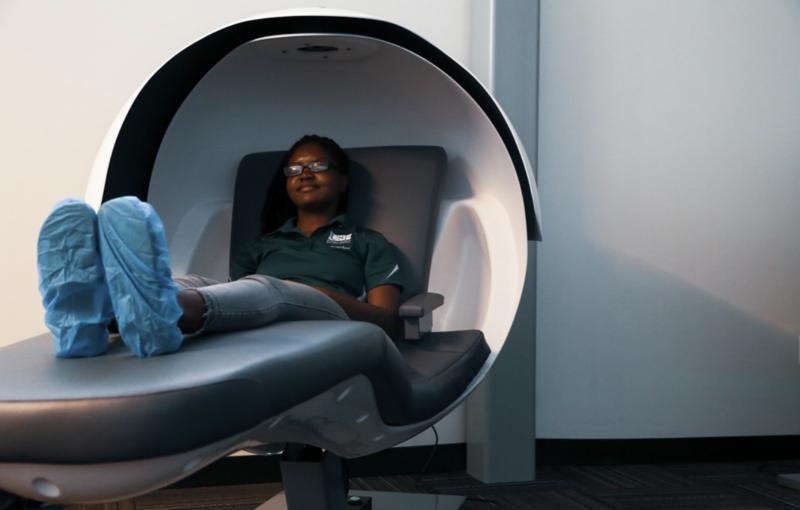 A U of South Florida student relaxes in an on-campus napping pods. At the same time, the college ramped up on-campus offerings that promote well-being and stress reduction. Now, students can take advantage of three relaxation stations filled with nap pods, massage chairs and bean bag chairs, as well as classes for yoga and meditation. More than 10,000 students have gone to one of the relaxation stations, which were found to have a significant effect on decreasing anxiety. The stations are "more holistic," DeBate said. "(They're) somewhere a student can go and unplug, relax between classes, recharge after an exam." All three are housed within a wellness centers, where success coaches and mental health counselors are available, DeBate explains. That way, students experiencing more serious mental health issues can make a counseling appointment on the spot without the attached stigma of going to the mental health center. That can help with the university's second tier of wellness services, which focuses on early identification of issues and treatment referrals for at-risk groups of students. The third tier, meanwhile, is reserved for students who need the most intensive mental health care. To increase communication across campus units, the university placed an emphasis on coordinating care across different campus units. U of South Florida and George Mason are just two of several colleges making significant changes to the way they approach mental health on campus. Vanderbilt University recently launched an initiative to overhaul its mental health offerings. Like other colleges, the Tennessee university saw a need to centralize its suite of services. Vanderbilt did so on several fronts. For one, students can now find a full list of resources on the website for the university's Student Care Network, launched in 2018, from financial aid to spiritual help. "The more complex the challenges are, the more collaboration that's needed." To further connect students with resources, Vanderbilt added the Office of Student Care Coordination to provide case management, giving each student a single point of contact for the suite of services needed throughout their time at the university. Before, no person or group worked with students on an ongoing basis to "connect them to all the right places, help them stay accountable and re-evaluate stressors or challenges that would arise (to determine) what might make sense for the students in terms of resources," said G.L. Black, associate dean for community standards and student support. The university also tasked the newly formed office with conducting intake appointments. That shift freed up time for the university's counselors, who previously were responsible for those appointments. Under the new system, wait times for appointments shrank from about two weeks to roughly a couple of days, Black said. "By having some of these additional resources, and integrating mental health and well-being across all offices that are working with and supporting students, you help provide a better, stronger support network for students," Black said. "In turn, (that) helps alleviate some of the burdens on the counseling center." UCLA's Healthy Campus Initiative brings together services on campus that promote student well-being. 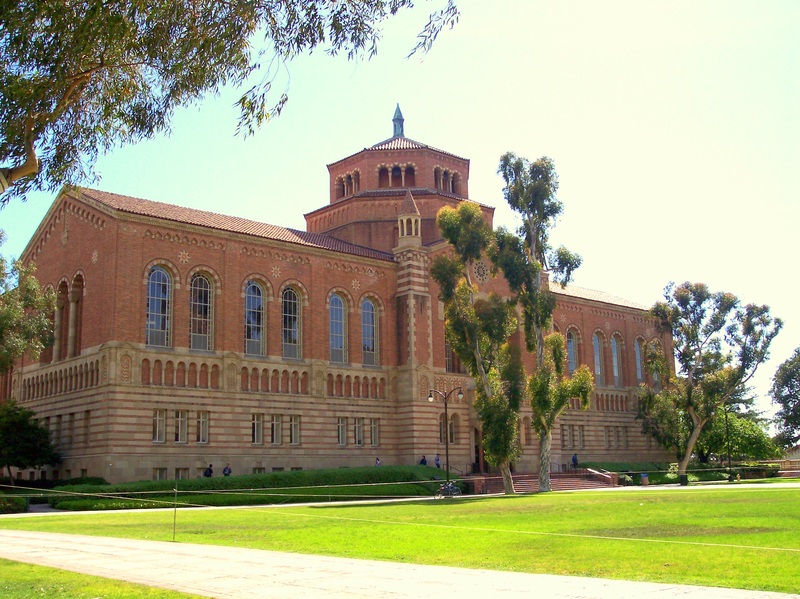 The University of California, Los Angeles has undertaken similar measures. The university's Healthy Campus Initiative, launched in 2013, aims to bring together different initiatives and activities on campus that promote student well-being, from yoga classes that encourage physical activity to food pantries that help alleviate food insecurity. Among those resources is the Mindfulness Ambassadors initiative, a three-year-old program that helps students interested in mindfulness spread the practice to others in the campus community, whether through meditation workshops or starting a blog. "We hope that by giving students tools and skills, ... they can take care of some of their psychological, emotional and mental health needs themselves," said Allyson Pimentel, Mindful UCLA's program director. "It's sort of like fluoridated water. By sharing these tools, strategies and skills, students can (protect) themselves to a certain degree against some of the inevitable difficulties they'll encounter in the course of their college careers." Meanwhile, some instructors are leading individual efforts to increase well-being on their campuses. Laura Hill, a senior lecturer at the University of Vermont, was looking for ways to incorporate meditation practices into her classes after she attended a yoga teacher training program. University of Vermont lecturer Laura Hill leads her class through a guided meditation. She started by beginning each class with a "mindful minute," or a guided meditation that is meant to help students focus on the material during class time. Their reaction surprised her: "I thought it would come off as out of left field and be weird," she said. "They actually responded quite well." As she later learned, the 'mindful minute' is a form of contemplative education, which focuses on introspection during academic study. "What I see when I walk into the classroom is that frenetic energy," Hill continued. "We do three deep breaths usually, and then everybody's calmer and more attentive. It's a sea change." For a well-being initiative to be successful, it must encompass diversity and inclusion. According to the APA report, among Gen Z, students of color report more stress around some issues than do white students. For instance, 41% of Gen Z students of color indicate that personal debt is a "significant source of stress," and 40% say the same about housing instability. That's compared to 30% and 24%, respectively, of white Gen Z students. At Jefferson Community College, in New York, campus leaders have addressed some of those stressors by bringing a comprehensive suite of services under its Health and Wellness Center. Students can go to the center for a variety of reasons, including mental health services, a food pantry, housing assistance and help with SNAP applications — the latter a benefit college students often leave on the table. Bringing its physical and mental health supports into building has helped make the office more approachable, said Katy Troester-Trate, director of the Health and Wellness Center. "Students could be coming in for something as simple as a Band-Aid or an ice pack, or they could be coming in for mental health services," she said. "Their peers wouldn't have any idea why they're going into our building, so it reduces the stigma." "If students are not mentally OK, they're not going to be able to be successful in the classroom. … If you make it a campuswide priority, everyone wins because everyone is able to focus on things they need to focus on." That can be critical for students of color, as they are twice as likely not to seek mental health services when experiencing anxiety or depression as compared to white students, according to research cited by the JED Foundation, a nonprofit organization that works to protect the emotional health of and prevent suicide among teens and young adults. To create more equity in mental health services on campuses nationwide, the Foundation has collaborated with The Steve Fund to craft 10 recommendations for colleges to follow. They include making the mental health of students of color a campuswide priority; actively recruiting "diverse and culturally competent" staff and faculty members; and providing opportunities to engage students around national events. Most importantly, commitment to diversity and inclusion in well-being initiatives needs to "come from the top," said Sofia Pertuz, a senior advisor at the JED Foundation. "If students are not mentally OK, they're not going to be able to be successful in the classroom," Pertuz said. "That's just not possible. … So if you make it a campuswide priority, everyone wins because everyone is able to focus on things they need to focus on."